CHARLENE M. ATKINSON, born Fall River, Massachusetts, October 30, 1969. Education: Attended Katherine Gibbs School – Certificate in Paralegal Studies 1992. Practice incudes working exclusively for Senior Partner in Medical Malpractice Defense since 1997. Professional and Civic Appointments: Notary Public, State of Rhode Island. 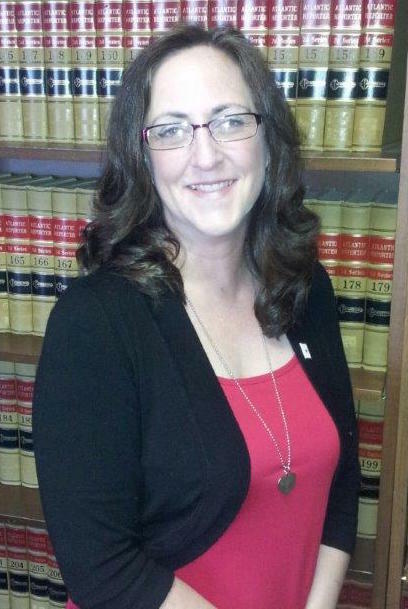 Charlene Atkinson obtained her Paralegal Certificate in 1992, shortly after the birth of her son. Immediately upon graduating, she was employed at a real estate firm for several years. It was during this time that she realized her desire was to be more involved with the trial litigation aspect of the legal profession. Charlene has been an employee with Gidley, Sarli & Marusak since August of 1997. She was originally hired as the direct Assistant to the Senior Partner, Michael Sarli, solely responsible for his highly demanding trial calendar. As his Assistant, Charlene drafted legal filings, such as answers, counterclaims, discovery pleadings and motions. She also assisted with trial preparation at all levels, including preparation of exhibits for trial, securing medical literature, and working with expert witnesses. In March of 2011, she agreed to take on the position as Paralegal, assisting in the development of the defense of physicians, nurses, other healthcare providers, hospitals and other healthcare facilities in medical malpractice cases. In addition to the continued maintenance of Attorney Sarli’s trial calendar, she now conducts searches and background checks of potential medical experts for retention by the firm, assembles and analyzes medical records with regard to consistency and discrepancies, conducts extensive research of various medical topics, and assists the Attorneys in preparation of the case for trial.